Khalaf Ahmad Al Habtoor is a prominent and highly respected citizen of the United Arab Emirates. A self-made man, he is Chairman of the Al Habtoor Group – one of the most successful conglomerates in the Gulf. 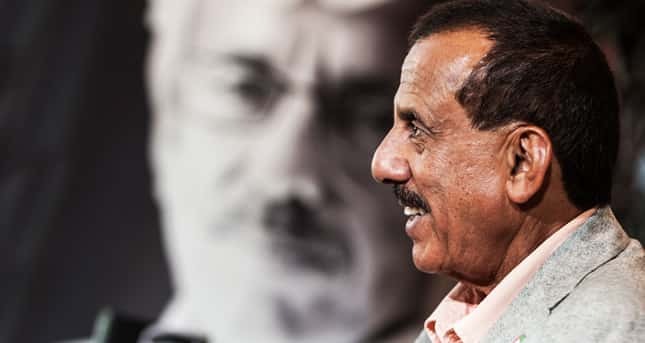 Al Habtoor is known not only for his many business achievements but also his extensive knowledge of international political affairs; his philanthropic activities; his efforts to promote peace; and the fact that he has long acted as an unofficial ambassador for his country abroad. Writing extensively on both local and international politics, he publishes regular articles in the media and has released a number of books. Al Habtoor began his career as an employee of a local UAE construction firm and in 1970 established his own company, Al Habtoor Engineering. The UAE Federation, which united the seven emirates under one flag for the first time, was founded in 1971 and this inspired him to undertake a series of innovative construction projects – all of which proved highly successful. The company later became the Al Habtoor Group and for over 45 years it has grown with the United Arab Emirates. Today, it is recognised as one of the most prominent business corporations in the region with interests not just throughout the Middle East, but around the world. Khalaf Al Habtoor’s long list of awards and achievements does not only reflect his business acumen. He believes it is his strength in the face of adversity; his willingness to take calculated risks; and the fact that he is always looking ahead, that has enabled the Al Habtoor Group to grow and diversify. Known for his optimistic outlook and warm personality, Al Habtoor is well respected by his associates and considered a well-balanced and progressive man. An active member of society, he feels it is his civic duty to contribute to his country in any way that he can. He is also a devoted family man who loves meeting new people; enjoys acquiring knowledge; and looks forward with pleasure to each new day. In November 2017 Khalaf Ahmad Al Habtoor opened the ‘Khalaf Ahmad Al Habtoor Life Journey,’ a retrospective collection spanning the course of Al Habtoor’s personal and professional life. It covers everything from his early years to present day. International Peace Prize from the United Cultural Convention of America, recognising achievements in peace and justice across political, religious and ethnic divisions.